Haitians emigrating to South America from their native country have traditionally chosen Chile as an adoptive home, based in part on its relative economic security. However, after President Sebastián Piñera revoked on-arrival tourist visas in April, the numbers have been dropping and those unable to stay in Chile have turned their gaze to neighbouring country Argentina. Right-wing Piñera’s decision in April had immediate results, and since May, more Haitians are leaving Chile than entering the country, Economia y Negocios explained. On Aug. 30 the president also announced the creation of an “Orderly Humanitarian Return Plan” for those Haitians wishing to return to Haiti after being deceived by migrant smugglers who didn’t keep their promises of finding them lodging or employment, reported DiarioLibre. The conditions of the programme will be defined this month, but it is likely that the plan will incorporate assistance in aeroplane travel back to their native country. For those who do not wish to return home, Argentina is their new prospect. General Director of Legal Technique at the National Migration Management Group, Diego Enriquez, told Economia y Negocios that there had been an explosion of Haitians attempting to enter the country as tourists. However, Argentine authorities have been turning them away for not meeting the conditions required for being a tourist. 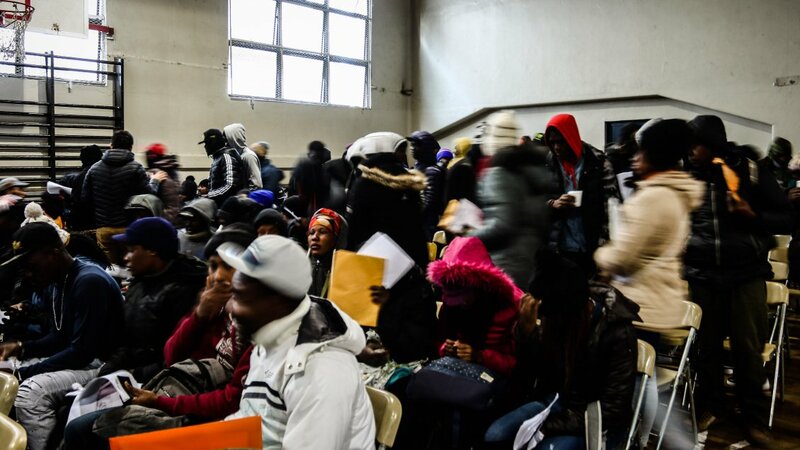 In the first seven months of 2018, there were 900 cases reported of Haitians attempting to enter Argentina, whereas throughout 2017 there were only 221. Confronted with this influx of non-tourist Haitians, Argentina reinstated the requirement of a tourist entry visa for Haitians wanting to enter the country. Bernardino Cárdenas, head of the Prefecture of the International Airport Police in Chile, explained that the elimination of the temporary stay visa had a marked effect on the amount of Haitians entering the country. He explained that many go to Mexico instead in order to enter the US, although they are often deported back to Chile if their documents show Chilean residency. He added that the most common points through which Haitians leave the country are the Arturo Merino Benítez airport, as well as the border crossing point Los Libertadores, which is used to go to Argentina. Haitian emigration began in earnest after the devastating earthquake in 2010 which destroyed buildings and infrastructure, leaving thousands homeless and jobless. The Migration Policy Institute recorded that Chile awarded 300 temporary visas to Haitians in 2009, which grew to 8,900 in 2015 and 44,000 in 2016. 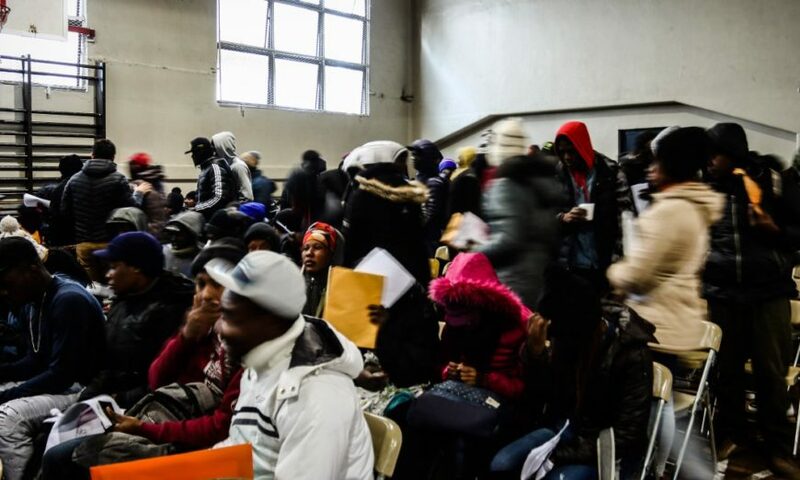 However, the UN reported that in 2016 Brazil was the country who welcomed the largest number of Haitians, totalling 67,000, with Chile seeing 18,000 Haitians entering the country and Argentina trailing behind at just 1,200. HaitiLibre reported that the political system in Haiti does not create an environment that encourages young Haitians to remain in their native country. The Observatory of Haitian Youth commented to the Haitian news site on the President’s failure to address this issue. However, the plight of Haitians attempting to create a better life elsewhere is hugely overshadowed by the mass exodus of Venezuelans fleeing their country due to severe shortages of basic goods such as food and medical supplies. Chile and Argentina are both much more welcoming to these immigrants than they are to Haitians, BBC Mundo noted. Both countries have relaxed their immigration laws for the Venezuelans but have applied restrictions for Haitians. With refugee crises taking place in Myanmar, Syria and Venezuela, tremendous pressure is being placed on neighbouring countries and other nationalities are finding themselves placed firmly as a second priority.